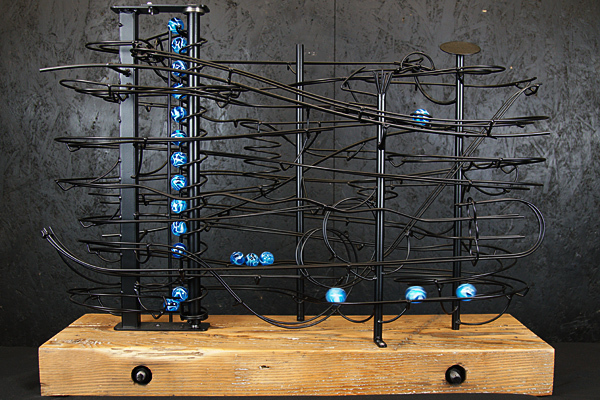 A four track timber based rolling ball sculpture with 25mm glass marbles and powder coated in matte black. It measures 750mm x 600mm x 300mm with a helical lift. The sculpture components include loops, tall spiral, multi-ball tipping arm, wavy track and balls on track. It also has a unique way to join two track paths into one, not seen before on my sculptures.